Odi picked us up from Galle mid-morning for the drive to Bentota, on the way we stopped at a centre specialising in wood carving to look for some souvenirs we wanted; after some hard bargaining, we got what we wanted and the salesman threw in a box of teabags as a gift!! 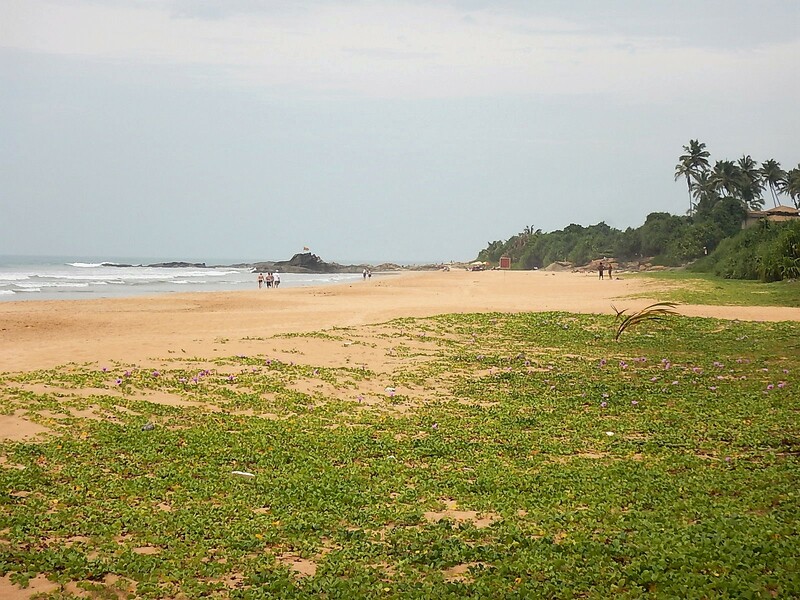 From there we headed up the coast road, along the way we saw a lot more evidence of the impact the 2004 Boxing Day Tsunami. There were graves along the side of the road, memorials and a lot of houses that had been destroyed by the force of the water and never rebuilt, presumably because there was nobody left alive to need them or repair them. As we drove north Odi mentioned that his employers had arranged for someone else to drive us to the airport after or stay in Bentota, he thought we knew already but we didn’t and we were disappointed, we had had such fun travelling with Odi it was a shame he wouldn’t stay with us to the end of the trip, he was disappointed too. 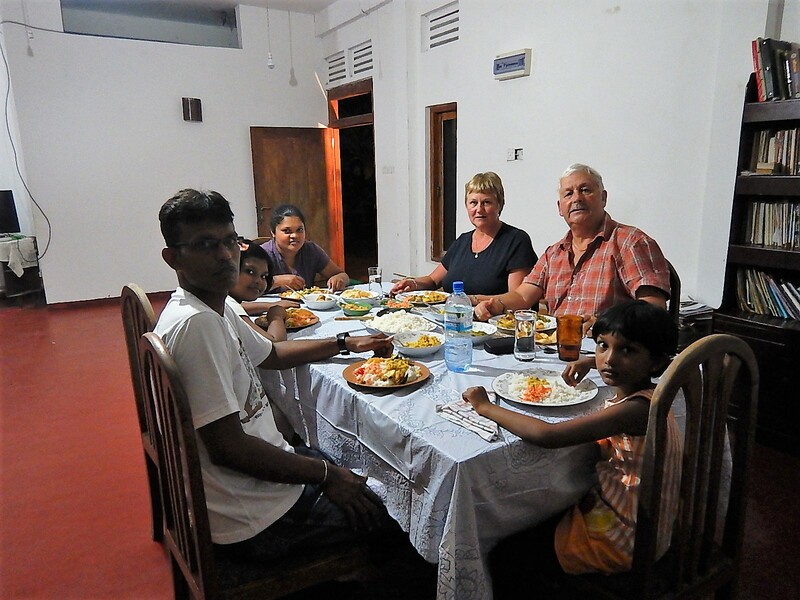 However, he did have one last treat for us, Odi lives near Bentota and he very kindly invited us home to have dinner with his family that night, it was a generous invitation and we were pleased to accept. He picked us up at 19.00 that night and drove us out to his house where we met his wife, two young daughters and an uncle who joined us for a drink before dinner. 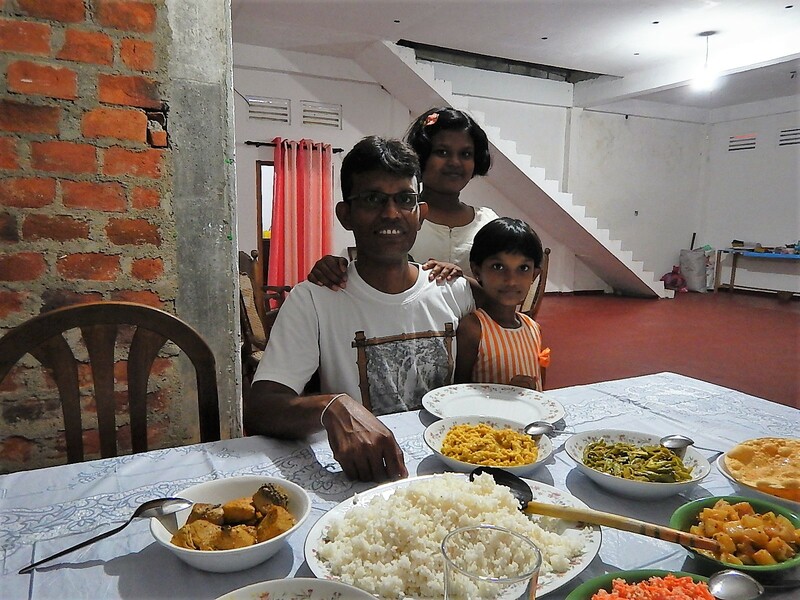 Odi and his wife are building a house on a plot of land given them by her grandfather, it is a work in progress but it will be a large house and they hope to have guest rooms when it is finished – we have been invited to stay there next time we visit Sri Lanka. 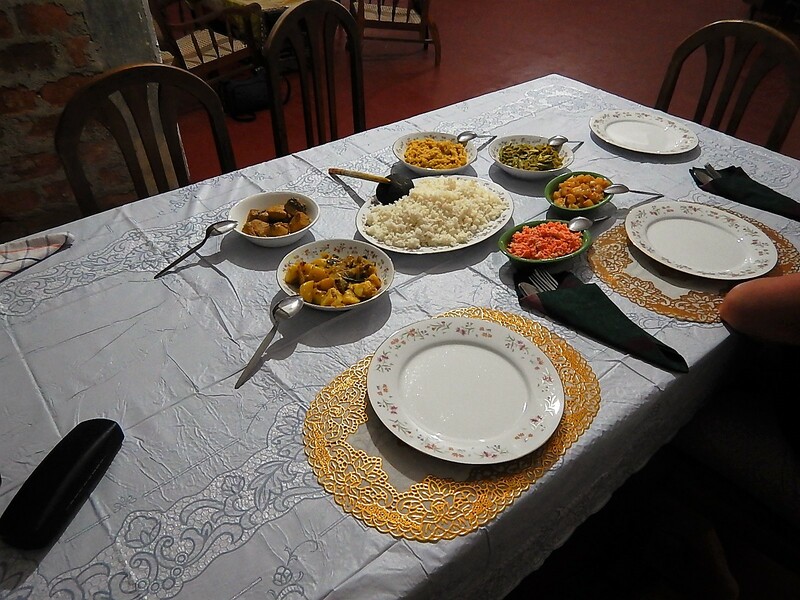 We had a lovely evening and a fantastic home cooked meal. They served fresh tuna curry, daal and three curried accompaniments potato (one of my favourites), beans and pineapple, and carrot sambal and rice. At first we thought we were going to eat alone, there were only two places at the table but after some encouragement the whole family joined us, I think the two girls were intrigued to watch us eat with cutlery, something of a novelty. We finished up with a fruit platter including local red bananas which Odi had been trying to find for us all through our trip. We were very sad to say goodbye to Odi when he dropped us back at the hotel that night, he had done so much to ensure we had a fantastic time in Sri Lanka, we will miss his company. The next two days were spent at the hotel, reading by the pool, taking advantage of afternoon tea served on the lawn at 16.00 each day and eating in the very good restaurant onsite. 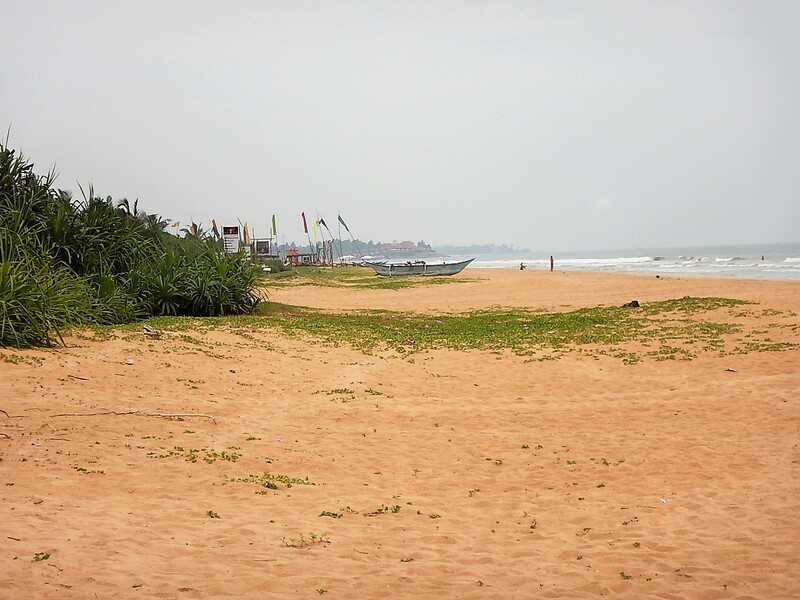 Club Villa is situated on a lovely beach on the Indian Ocean, unfortunately the water was quite rough while we were there and it was too hot to sit on the beach so we stayed in the hotel grounds. 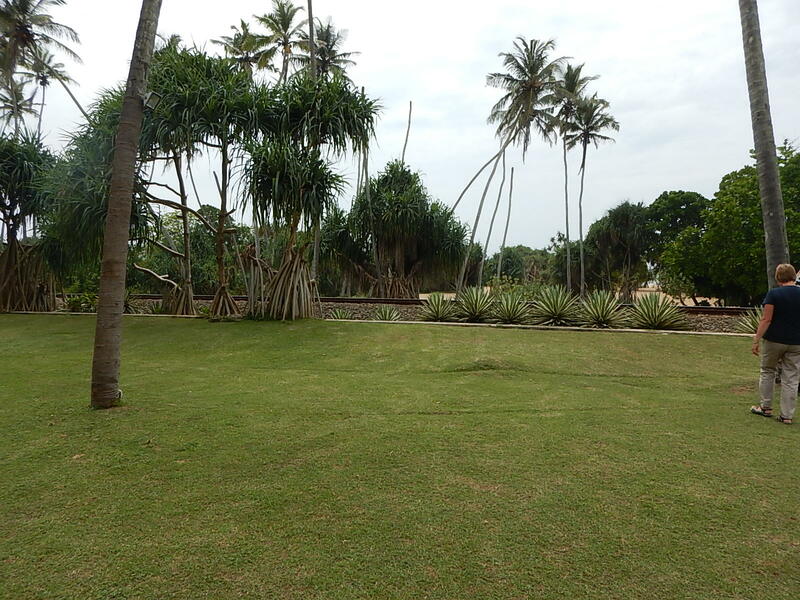 Like most of the other hotels along that stretch of coast Club Villa has a railway running through the grounds between the hotel and the sea. We had been warned about it and were pleased to discover that it wasn’t too intrusive, there were a couple of trains an hour during the day and they became a bit of an event with people sitting in the door ways waving to us as they passed through. We met Deborah, a very nice woman from Connecticut, who joined us for dinner one night and breakfast on our last morning. 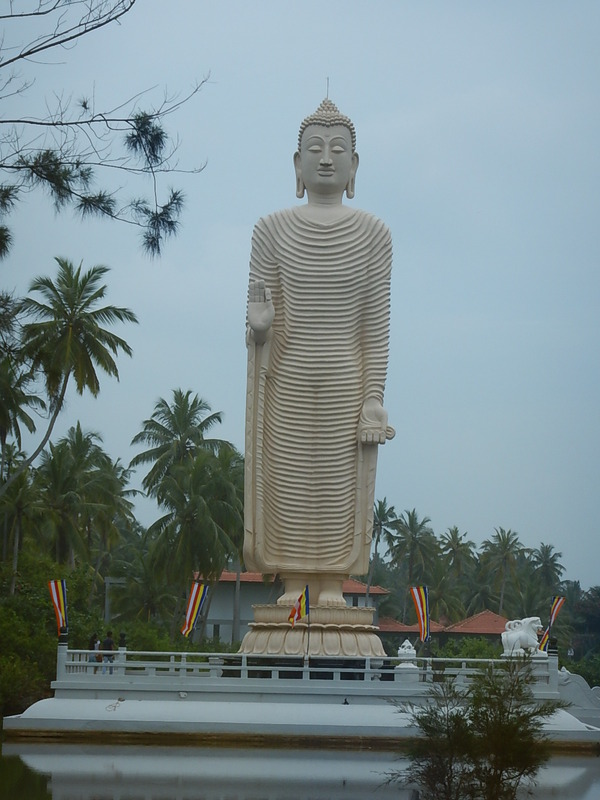 Deborah was also travelling with Audley but her enjoyment of Sri Lanka had been undermined by a less than friendly driver; she was an experienced traveller but had been alarmed by his driving, embarrassed by the way he spoke to hotel staff and disappointed that he didn’t provide any commentary during their journey together and just dropped her at various sites and left her to explore on her own. Once again we realised how lucky we were to have travelled with Odi. 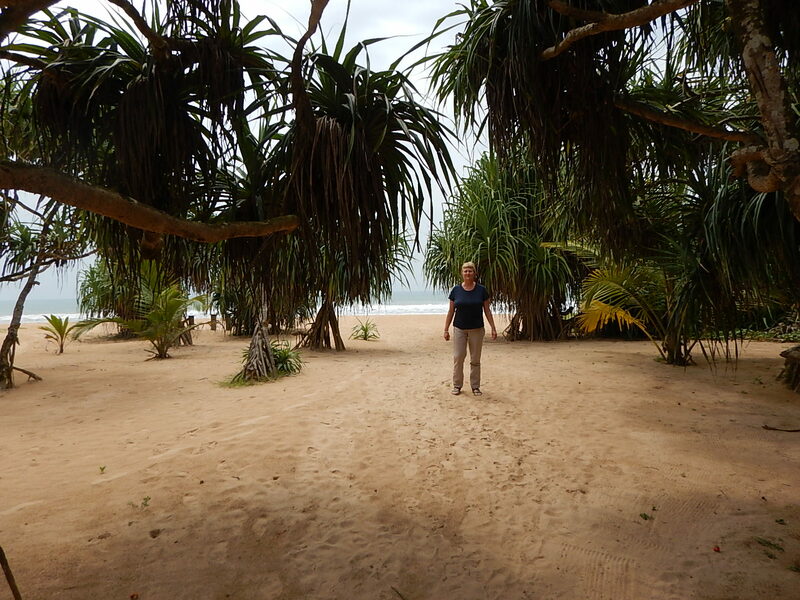 After three nights at Bentota our time in Sri Lanka came to an end and, although we still have a little over two weeks before we reach home it felt like the beginning of the end of our adventure.